Updated summer 2018. Did you miss the general packraft intro? Don’t forget that at any waterside holiday resort you can always buy cheap PVC ‘slackraft’ pool toys that are OK while they last. Slackrafts get their own page on IK&P and are a great way of investigating the packrafting experience before you splash out on the real thing. Most of the boats described below I’ve only seen and evaluated from pictures, but in 2015 we tested four packrafts from MRS, Aire, Nortik and Supai alongside my 2014 Alpacka Yak. To read more about our actual observations and conclusions (as opposed to this page’s web speculation) click this or the banner on the left. A word about denier – a unit of measurement used to describe the weight (not the thickness) of a material. It is calculated on the mass in grams of a single 9000m strand using one 9000-m long strand of silk as a reference for one denier). It’s a mistake to think a fabric made from 210D nylon will be three times thicker and three times stronger than 70D. The thread or yarn used ought to weigh three times more so will be stronger and more resistant to tearing, but not as a factor of the D-rating. 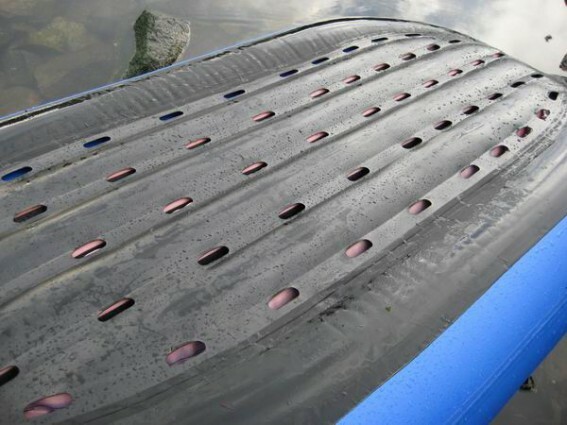 What have been dubbed crossrafts are sub-category of packrafts – very light rafts or ‘trail boats’ made from nylon or polyester with a coating onside (like your tent or backpack) as opposed to much more durable exterior coating found on TPU; the shiny stuff of a normal packraft. They are best suited to crossing calm bodies of water rather than paddling along them, far less tackling white water, though this doesn’t seem to stop people trying. 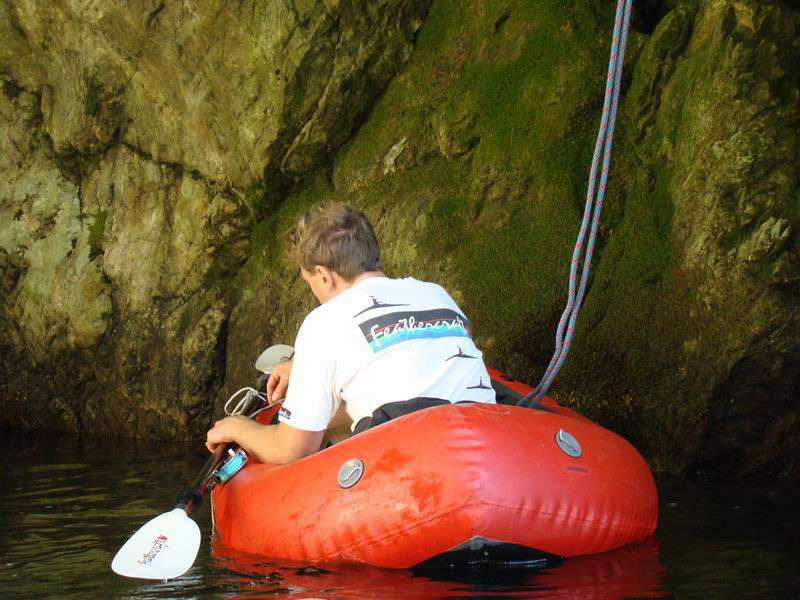 The low prices and light fabric enables weights of well under a kilo, making the link between slackrafts and packrafts. But because of the fabric you do lose out on durability, performance and response from the stiffer TPU hulls found on packrafts like an Alpha XC (left) which still weighs much less than 2kg and gives you more peace of mind when travelling along in remote locales. As the name suggests, the 670g Supai Flatwater II is an ultra-light trail boat suited to crossing small lochs, canyoneering or following calm rivers. 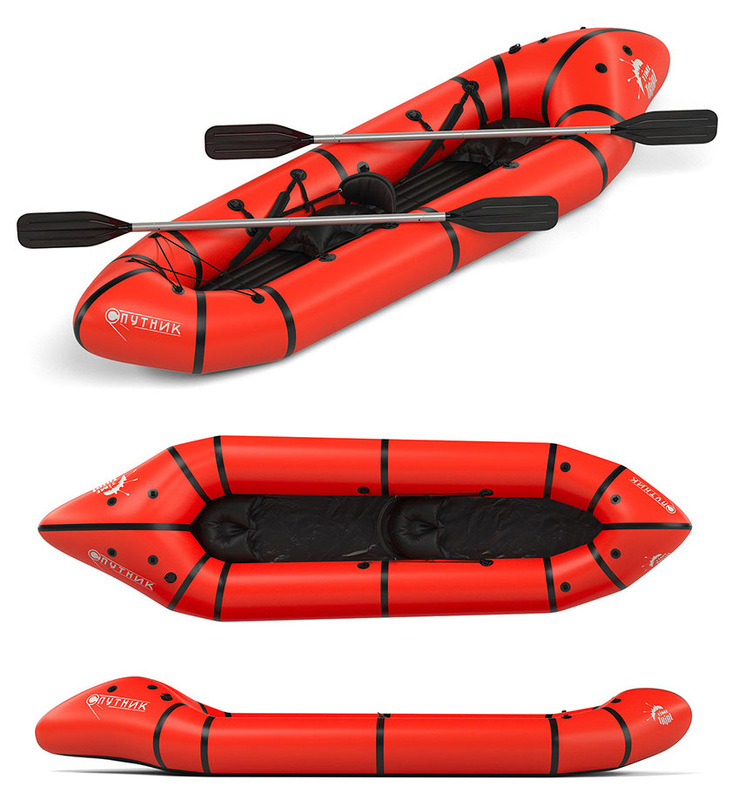 With its narrowed and tapered bow, it resembles the much admired Sevylor Trail Boat – the Lost Prince of Slackrafts – and at the time appeared to be a more sophisticated and notably lighter take on the FlytePacker (below). 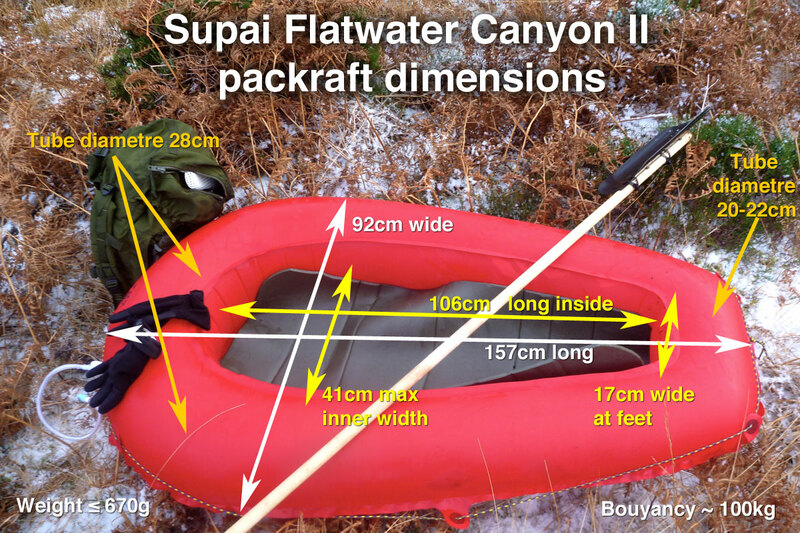 The Supai’s dimensions as measured by me added up to 92cm wide, 157cm long and 106cm inside. We tried one – read about it here. A couple of years later we also tried the fatter Matkat version too. 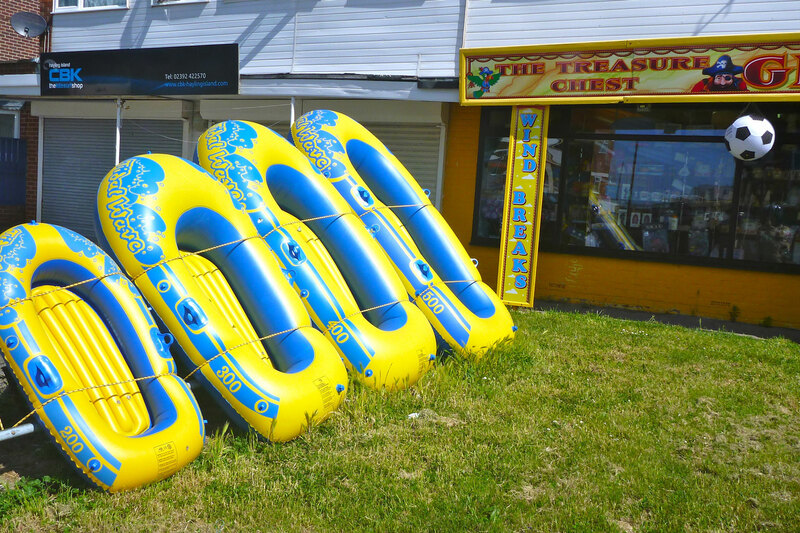 NRS’ tough MaverIK introduced me to inflatable kayaking in Idaho all those years ago – I nearly bought one right on the spot. A while back they added a packraft to their line up. 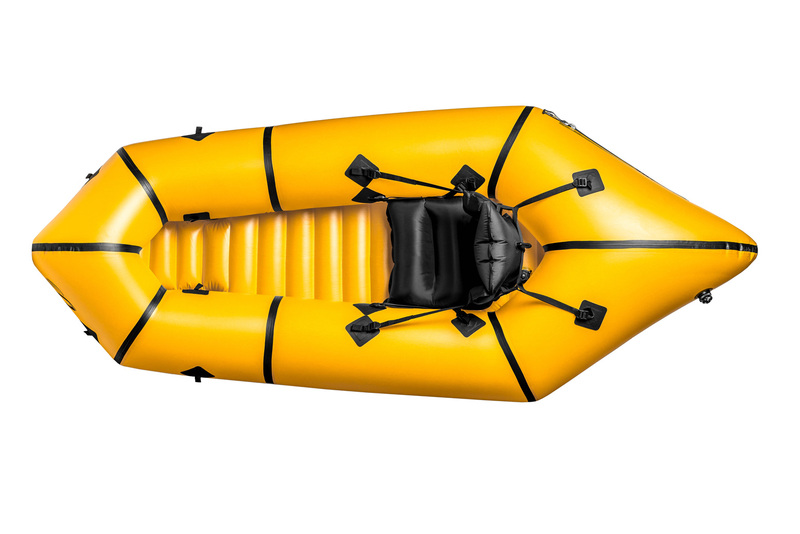 At 203cm long and 91cm wide (33cm x 142cm inside), the NRS Packraft is a roomy boat weighing 3.35kg with the removable floor, or 5.6lbs / 2.54kg without, so it’s too heavy to be a true crossraft. 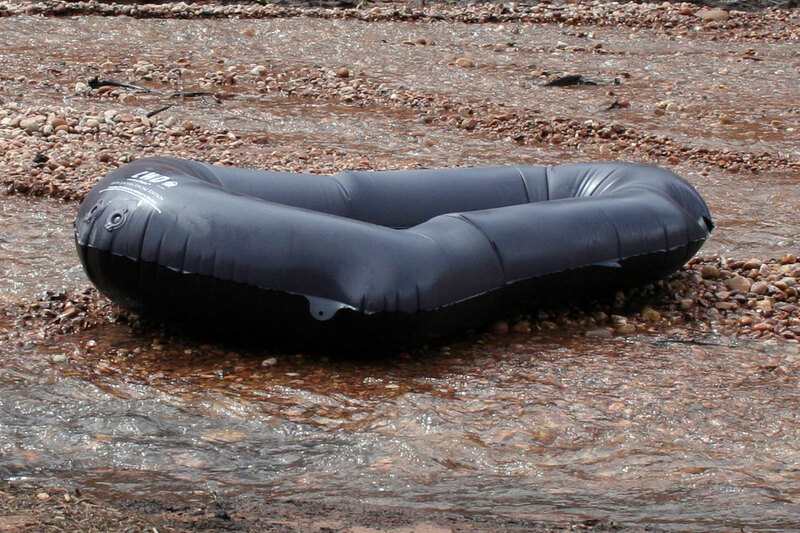 Like a Supai it’s made from PU-coated nylon: 70D in the tubes and a floor in 210D. There’s a seat pad too to get your bum higher than your feet, necessary for a comfortable and efficient paddling posture. Like the discontinued Feathercraft BayLee (bottom of the page), the NRS has two chambers with simple one-way Boston valves as found on £20 slackrafts and many packrafts now. An inflation bag is an extra $30. But check out the NRS website reviews – not such glowing reports with regards to durability. It does seem a rather half-backed effort which is a shame as NRS IKs and rafts are famously tough. This guy took his down a rapid-strewn river in Oregon. You may want to skim down to the last few paragraphs. 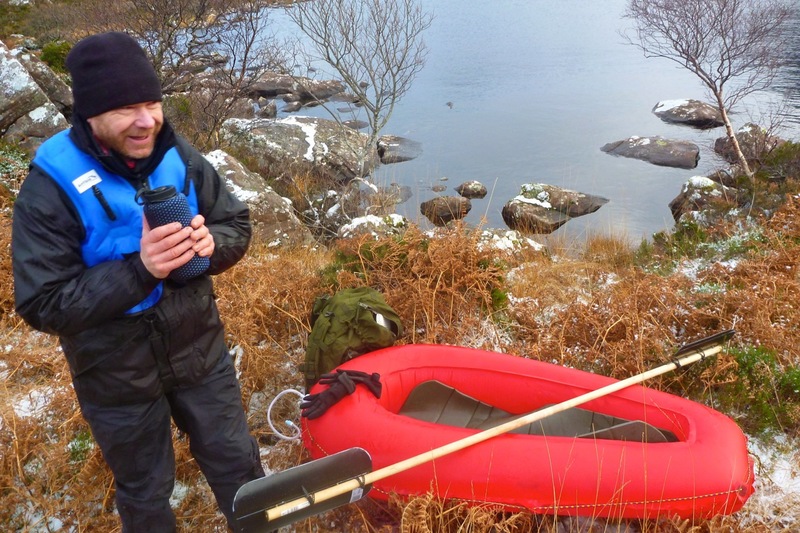 And this guy in the UK bought one in 2015 for more recreational paddling to which the NRS Packraft may be better suited. Supply comes and goes and perhaps may have gone for good, but Flyweight Designs produce an ultra-basic 200-D coated nylon FlytePacker (right) for about $315. Stats are 1270g, 107cm wide and 178cm long, with a claimed payload of 140kg. This version is less wide and a bit longer than the original FlytePacker and so compares with the Supai Matkat we tested in 2015. FWD’s other boat is the more conventionally proportioned CrossFlyte (right). FWD use the inner tube plus outer skin approach, both from 70D coated nylon. An inflatable floor may fit in there too. Weight is 1590g and it’s 185cm long, 101-104cm wide – nothing special when you compare it to Anfibio’s TPU Alpha XC which I bet is more robust. There are four attachment points on the bow as well as tape rowlocks on the sides. Looks like both boats use Boston valves, a simple and cheap way of getting more than lung pressure in there and still works with an air bag. Even then, I have a feeling these inexpensive, thin-skinned rafts make for very light but saggy and unresponsive boats – in other words a crossraft to merely get you to the other side. Ruta Locura make a licensed 75D version of the LWD that Klymit used to make (LWD stands for ugly duckling, btw). It weighs under 800 grams (left) and so puts it between the Supais. Me, I’d skip a cup of coffee and take on the extra few hundred grams or just save up and again, get something like an Alpha XC, a ‘thin-tubed’ Anfibio which weighs 1800g all in. David O from Oregon was last seen persevering with his Klymit, and after trying to make his own packraft from bin bags (right) has set about adapting his Klymit LWD for heavy-duty ops. More here or in the vid below which contains scenes some viewers may find unnerving. Packraft attempts to meet kayak with a splash of slackraft graphics: behold the Advanced Elements Packlite ‘splackraft’. Fabric is a similar ripstop PU-coated polyester as used on the Supai (denier unknown). What they call ‘military valves’ (i.e. : IK valves as opposed to Boston valves) are used on the two-chamber hull so the thing ought to pump up firm. That might be the problem as they sem to burst. The I-beam floor is inflated with a regular twist lock valves to avoid over-pressurisation. The deck net becomes a carry bag and there are a few D-rings, plus the AE signature moulded rubber handle. You won’t get far without that. Price is $299 and it has to be said this looks like a great combination of interior space, shape and weight, and claims a realistic 250lbs/113kg payload, but you can’t help equating those naff ‘world map’ graphics with a crap pool toy. Tubes look a bit slim and low and it needs a bulky pump, but overdo it and you risk leaks or outright bursts. The video below features an eminently svelte paddler; you wonder if it would sprint so briskly with a bloater like me in it. As is often the case – the genuine reviews on amazon tell the full story. Caveat emptor on this one. 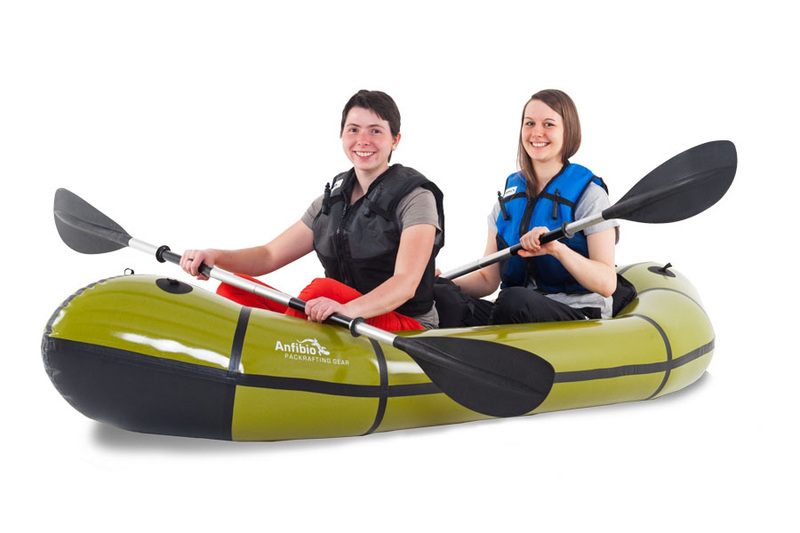 The Anfibio Packraft Store in Germany offers many brands of packrafts and collaborates and sells MRS from China (we tried the MRS Microraft). 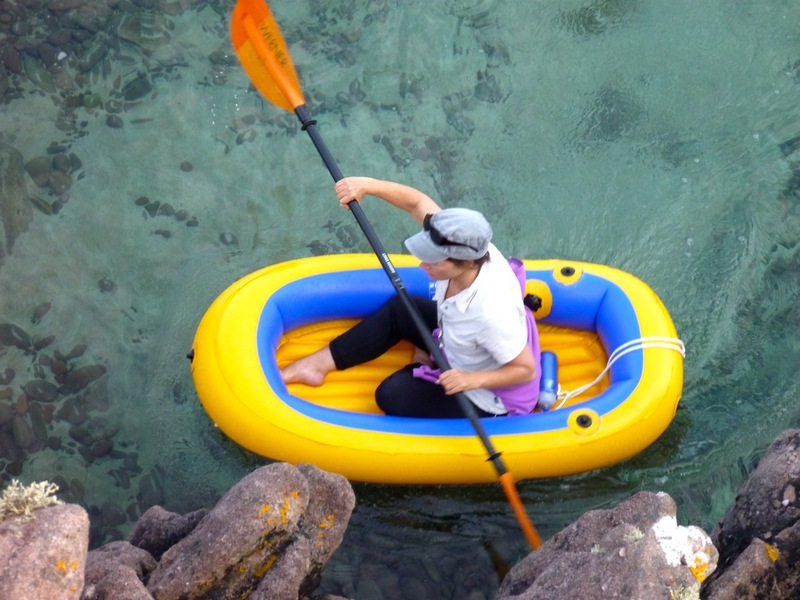 Lately the Store has co-designed their own brand of Anfibio packrafts which are among the lightest in their class. We tried the Alpha XC (above left). From just €470 + seat, a great deal for a light paddler. The range includes the Delta MX and Sigma TX, a compact double (right) which is 1.6m long inside, weighs just over 2kg, is rated to carry 220kg and goes from €680 plus seats. 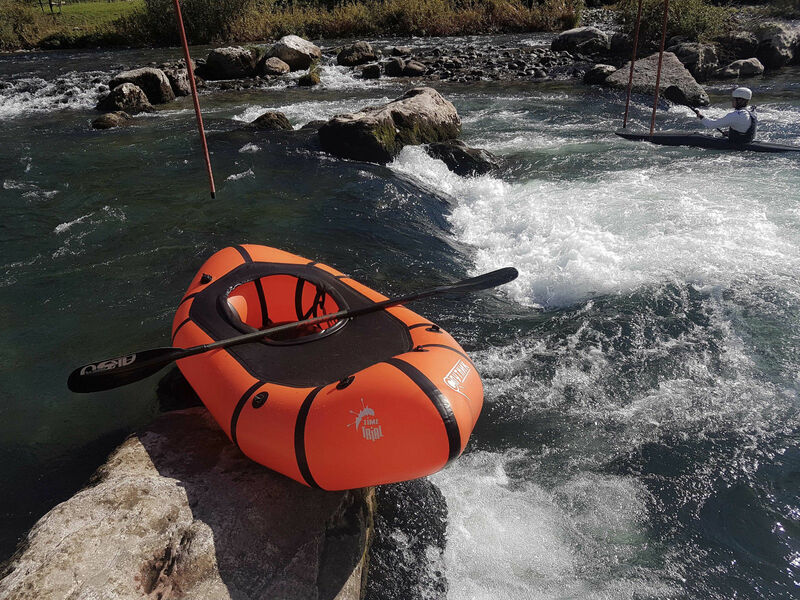 With a small range of models from lightweight to white water, as well as tandems (two models are sold in Europe by Packrafting Store), the distinctively angular shape of US-made Kokopelli packrafts sets them apart. Another distinction is the use of a Leafield valve you’d find on a IK or whitewater raft which inflate to higher pressures with pumps. 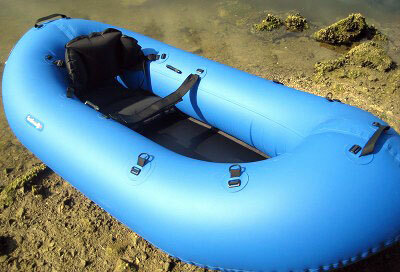 And yet Kokopelli packrafts still inflate with regular air bags and then top off with a detachable mouth tube. It seems like overkill. See this video where they say you can inflate up to 2psi. A K-Pump will easily do that but it’s probably not possible by lung unless you’re 1970s muscleman Franco Columbo who managed to blow up and burst a hot water bottle. Certainly for paddling efficiency you want as firm a boat as possible, especially once a packraft gets beyond a certain length. But over-inflate it (or leave it in the hot sun) and it may well rupture a seam. (I did that with an IK once.). So lung pressure is safest. The Kokopelli range includes the Nirvana white water boat (left) which comes as a self-bailer or with a deck. 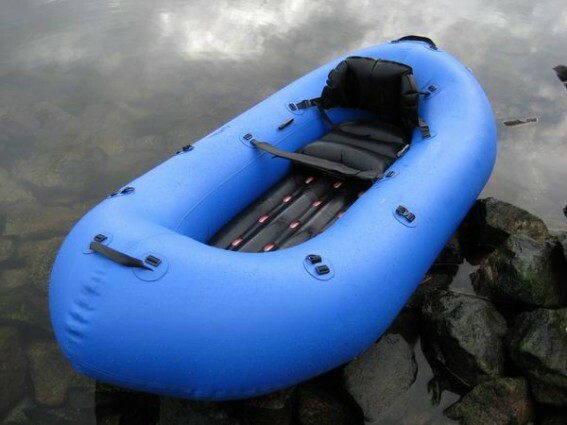 Decked packrafts are two-a-penny now but self-bailing is a more unusual solution to white water packrafting, more common on big white water rafts where you sit on thwarts high above the wet floor. In a self-bailing packraft or kayak a thick inflated floor pad is needed (or just big fat seats) to get you above the water that will always be present around the floor. Holes round the edges (small picture right, and like the discontinued Baylee, below) see excess water flow out. What pours in over the sides flows right out the draining holes until the water level reaches equilibrium; the boat cannot get swamped. 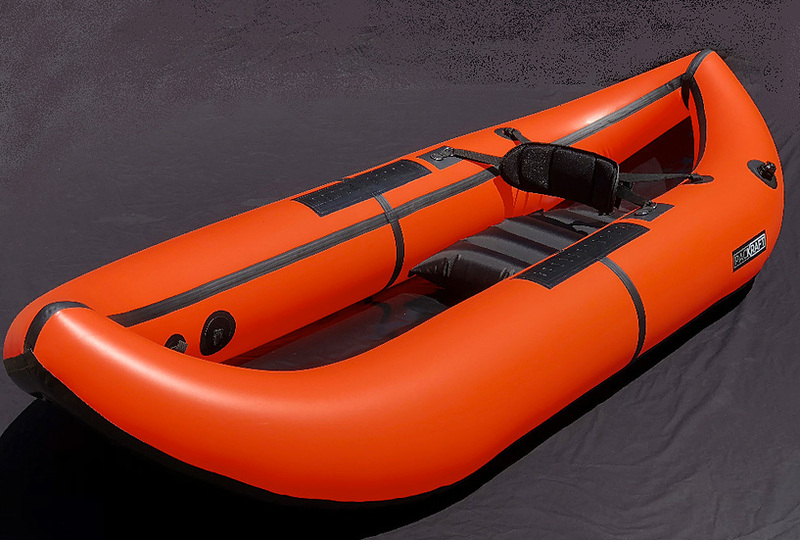 I know from IKs that self-bailing can mean a higher centre of gravity due to the thick floor or seat which can lead to instability, but just as with full-size rafts, with wider, flat-bottomed packrafts that’s probably much less of an issue. Depending on how fast it drains, for whitewater I think I’d prefer a bailing packraft to a deck and skirt, but that’s partly why I also prefer open IKs. Kokopelli’s other main boat is the more sedate and roomy tandem Twain, over 3 metres long weighing nearly 7kg with all the bits including a front seat with a proper backrest, but with 225cm or well over 7 feet of length inside. Two tall adults and gear will not be cramped. Unusually again, the Twain features the Leafield valve, an inflatable floor but also a removable skeg at the back like an IK. You’d think a long boat like this would not have tracking issues any worse than regular sized packrafts. 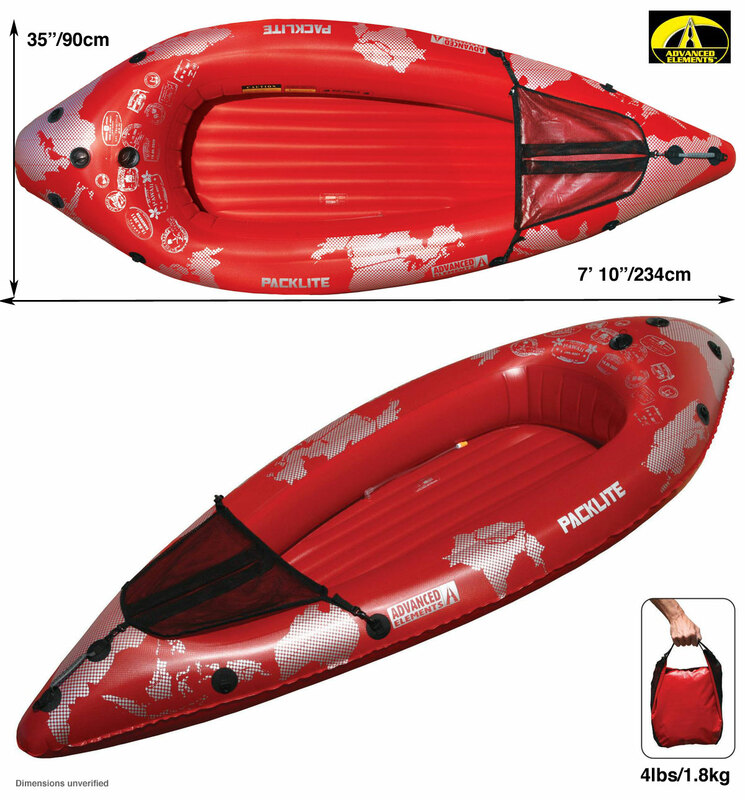 A packraft like this, as long as a kayak but running on lung-pressure psi, will need all the help it can get to be rigid and not paddle like a soggy Sevylor. Blow it up as hard as you can but I’m not sure a regular low-psi floor will add that much. 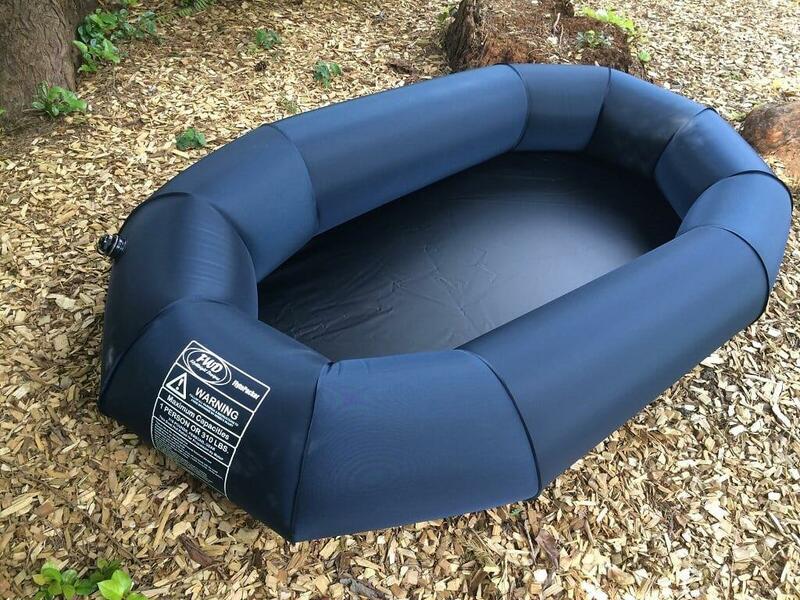 It’s known that the best packrafts can take much more pressure than we can fill them with – up to 6-8 psi I’ve been told before something goes. 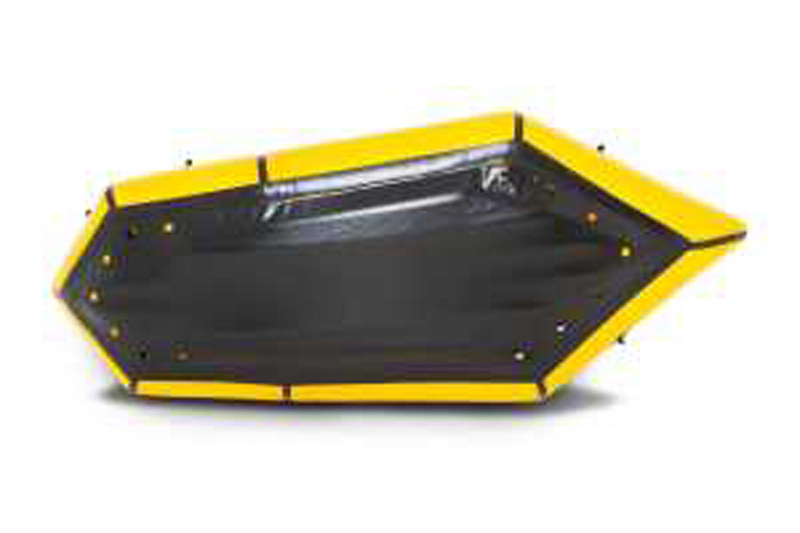 Are we already knocking on the door of longer packrafts with high-pressure drop-stitch floors? A detailed Twain review here. Over in Australia or New Zealand? Then look up PacKraft who make their own boats to order and also sell Kokopelli. 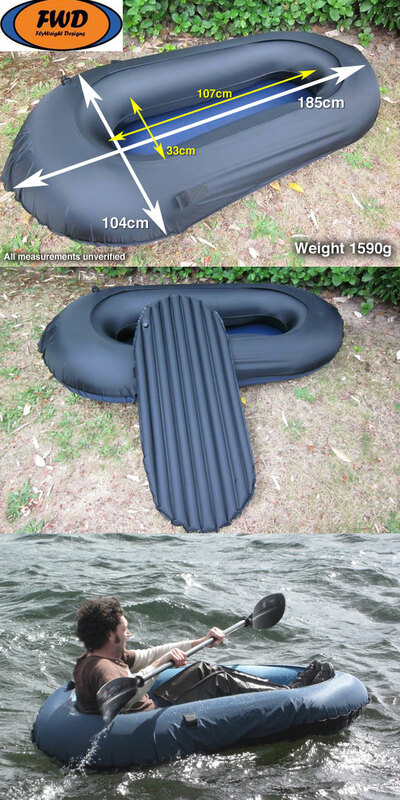 Latest on the scene are Sputnik packrafts found on ebay from under £600. 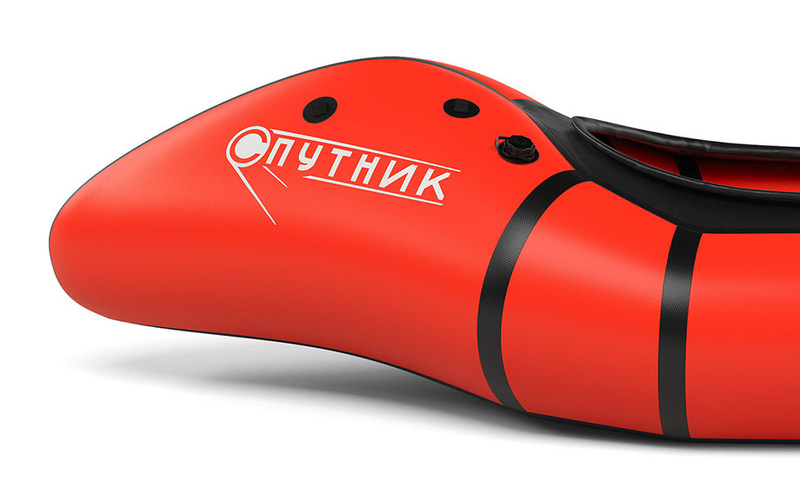 Looks like an Austrian design or brand that’s made in Russia by TimeTrial. There will be a certain kudos in having enigmatic Cyrillic on your boat but, not unlike the German-designed/Russian made Nortiks (maybe even the same factory? ), from 3.7kg for the Sputnik 1, these are relatively heavy boats using tough 420-D hulls with heavy 650g/m2 PVC floors when most others use 210D hulls and 420 TPU floors. Remember: heavy does not always equal robust and durable, as with MTBs it can just mean cheaper. Sputnik 1 numbers are: 250cm x 100cm, 30cm tubes, a very generous if not perhaps baggy 40cm width and ballpark 125 inner length with a load capacity 150kg. The range goes right up to a Sputnik 3 (left) which is a true double at no less than 3.5m long (2.25m inside) with a quarter-ton payload weighing in from 5 kilos. 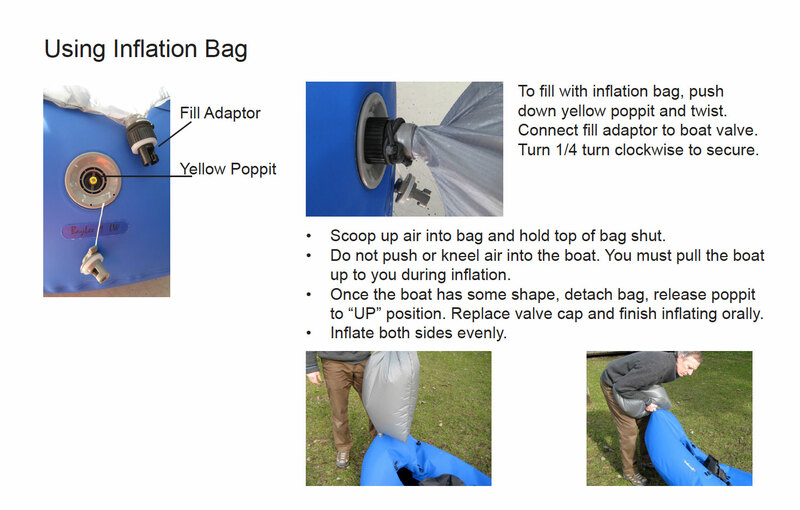 It says they come with a basic inflation bag valve (like old Alpackas) or the Boston-like one-way valve which you can pump up to a little beyond lung power (a better choice IMO, especially for the longer tandem), as well optional fitted kayak decks for white watering. 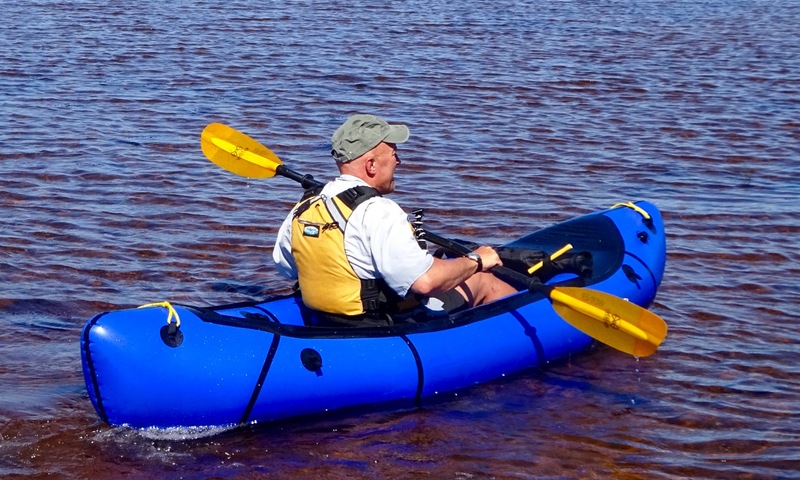 The naming is a bit confusing but Canadian portable kayak makers Feathercraft produce a couple of packrafts under the BayLee River Runner label. Several years ago Alpackas were actually made under contract at the FC factory in BC, so something like this was bound to happen as packrafting caught on. 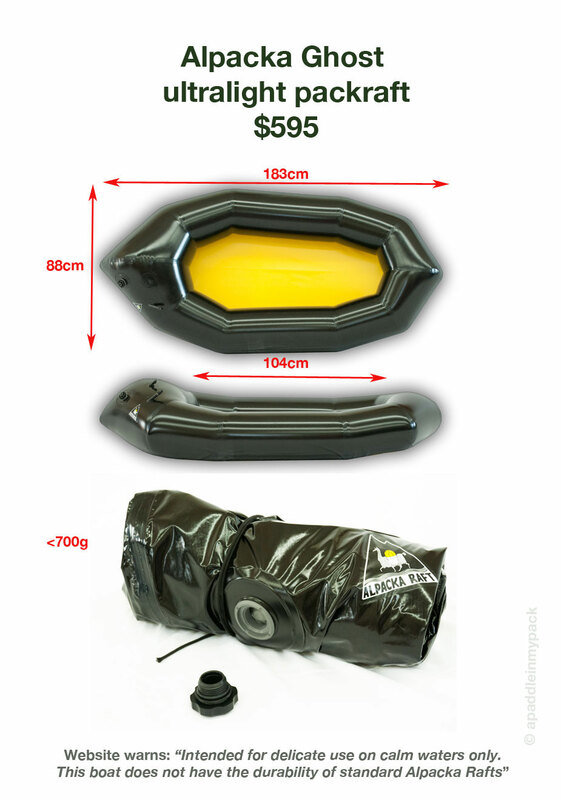 Their one-person BayLee 1 River Runner is packraft that comes as a standard open boat (above right; 2.95kg; $1050); with a spray skirt (left; 3.4kg) or with a self-bailing floor (4.54kg – $1400 – see below). As far as I can work out they’re all based on a 2m x 94cm hull with big 30cm tubes. 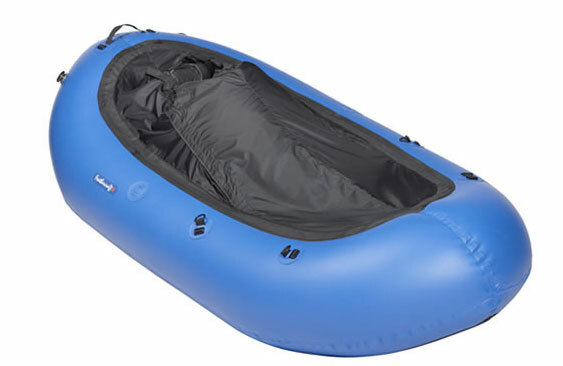 There are larger self-bailing BayLee/River Runners called the Bolder and Beast, but these models weigh up to 9kg so can’t really be considered packrafts. All of them come with optional skegs which are probably more useful for rowing the larger omnidirectional versions. All BayLees are made with two air chambers, left and right, and each chamber is RF welded and then glued and taped together so there are only visible seams at each end giving a much smoother look and less chance of bad seams turning leaky. They also feature chunky, one-way Halkey Roberts rafting valves on each chamber, as well as twist lock top-off valves. 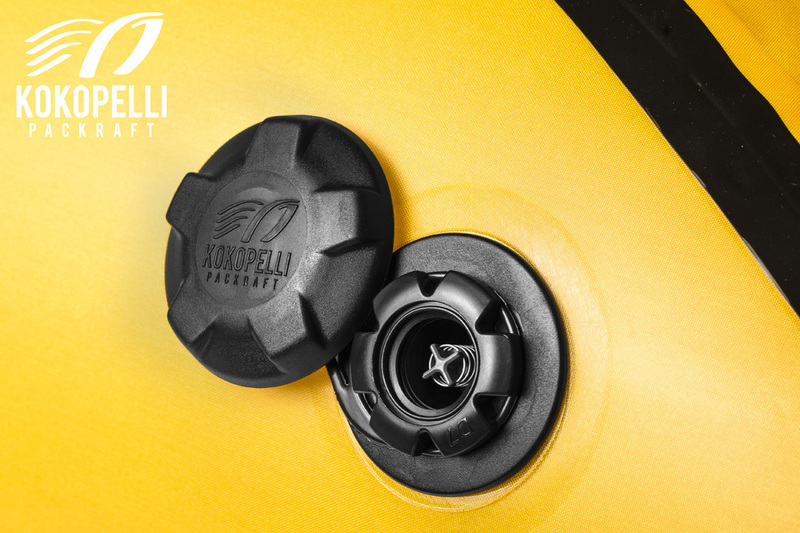 Rafting valves may seem like overkill but do mean that with a pump rather than an airbag you can get a good, firm pressure in there (and which does make the twist-locks redundant). Indeed the self bailing BayLee (below) does come with a pump. The self-bailing BayLee (left and right) drains fast, just like big, white water rafts. Although this adds about a kilo over the skirt version (based on the specs above; FC claim less), it has a higher seat making the boat marginally less stable. Note the rudimentary leg brace on the left, too – presumably it unclips easily. For pure white water packrafting this self-bailing system is probably better than the Feathercraft’s basic spray deck. 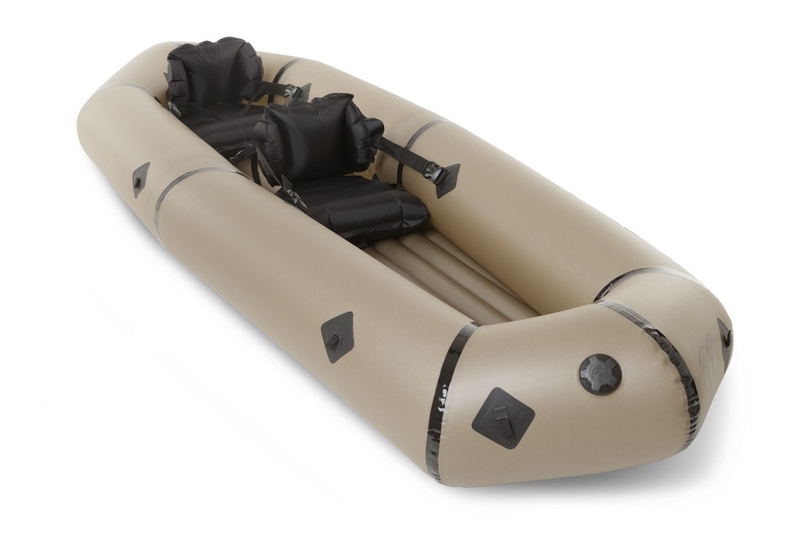 Alpacka’s Alpackalypse which came out a couple of years later has a more sophisticated, creek boat-like solution to the interminable packraft deck problem. 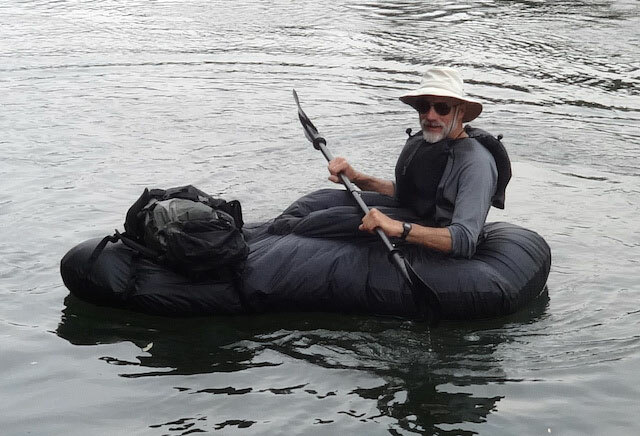 This entry was posted in Alpacka Yak, Cheap PVC 'slackrafts', Gear, Packrafting and tagged 2014 Alpacka Yak, advanced elements packlite, Alpacka Ghost, alternatives to Alpacka packrafts, Anfibio Alpha XC, Anfibio Delta MX, Anfibio packrafts, Anfibio Sigma TX, BayLee 1 River Runner, BayLee 2 River Runner, Baylee River Runner, Crossrafts, feathercraft baylee packraft, Feathercraft self bailing packraft, FlyWeight Designs CrossFlyte, Flyweight Designs packraft, Lost Prince of Slackrafts, NRS packraft, packraft comparison, packrafts, Packrafts; alternatives to Alpacka, self-bailing packraft, Sevylor Trail boat, slackrafts, splackraft, Sputnik packrafts, Supai Flatwater Canyon II, what is denier. Bookmark the permalink.